Things to do in Moalboal | MoalboalGuide.com - your guide to amazing Moalboal, Cebu, Philippines! Moalboal and the surrounding area is full of activities and things to see. Moalboal is primarily a scuba diving destination. If you are looking for some of the best diving in Asia, then Moalboal is the place for you! If you are looking for a place to lounge around on the beach, be sure to check out White Beach! There are daily diving expeditions to the house reef and Pescador Island. Some of the best diving in Asia! There are literally dozens of diveshops in the Panagsama Beach area, so you won't have trouble finding one. 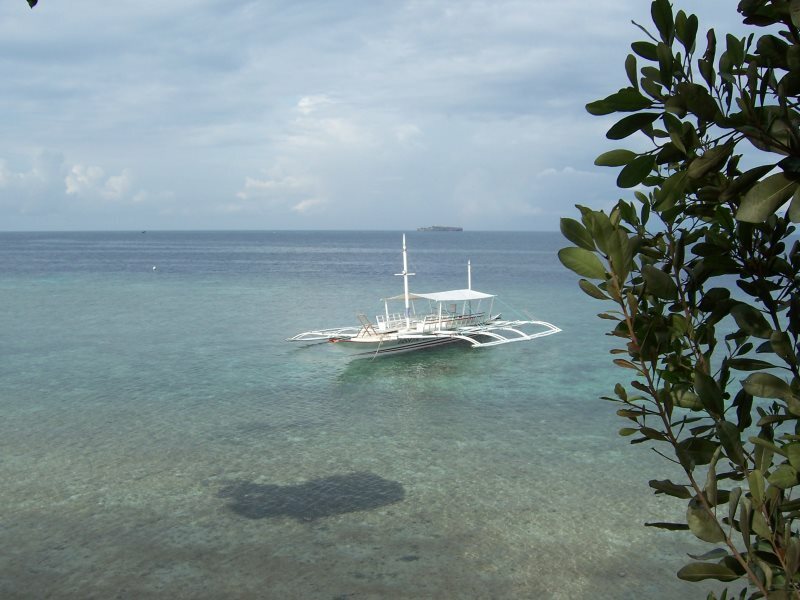 One great thing about Panagsama Beach in Moalboal is that you can can snorkel right off shore! Not far out is the "house reef" and a drop-off that must been seen! 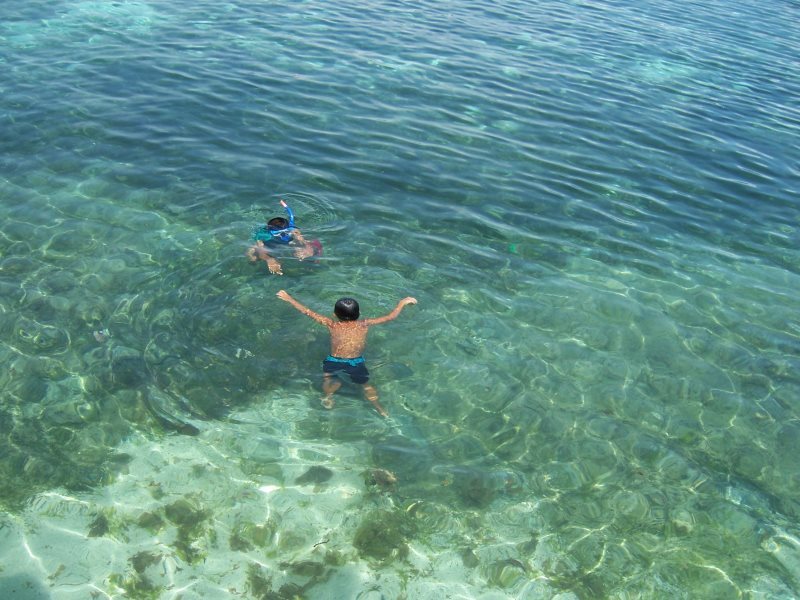 You can also ride out to Pescador Island with the dive boats and snorkel there. If you are lucky you will see a sea turtle! Moalboal is a sleepy little town, so don't expect much in the way of nightlife. However, it's never hard in the Philippines to find a place to share a few beers with other travelers or friendly locals. 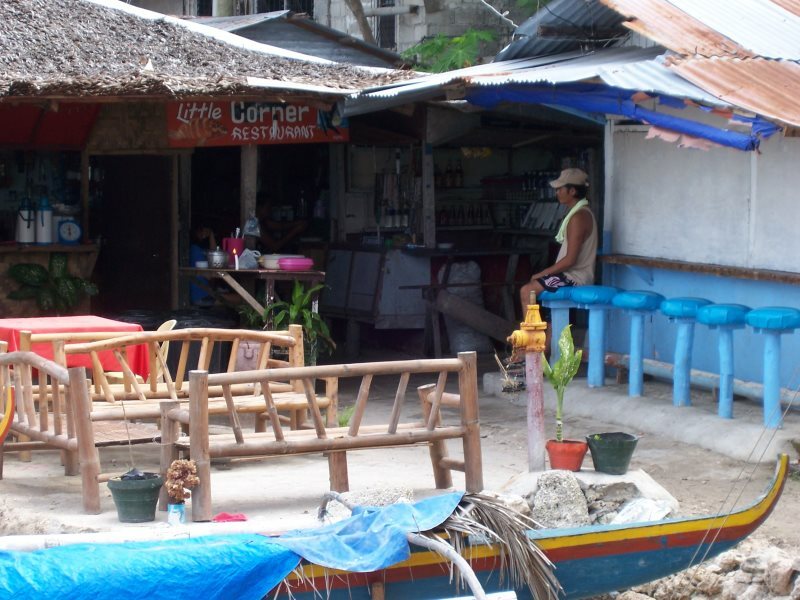 There are a variety of restaurants in Moalboal. Just walk around and you are sure to find something that sounds good! Try the chicken curry at the "Little Corner Restaurant" pictured here. 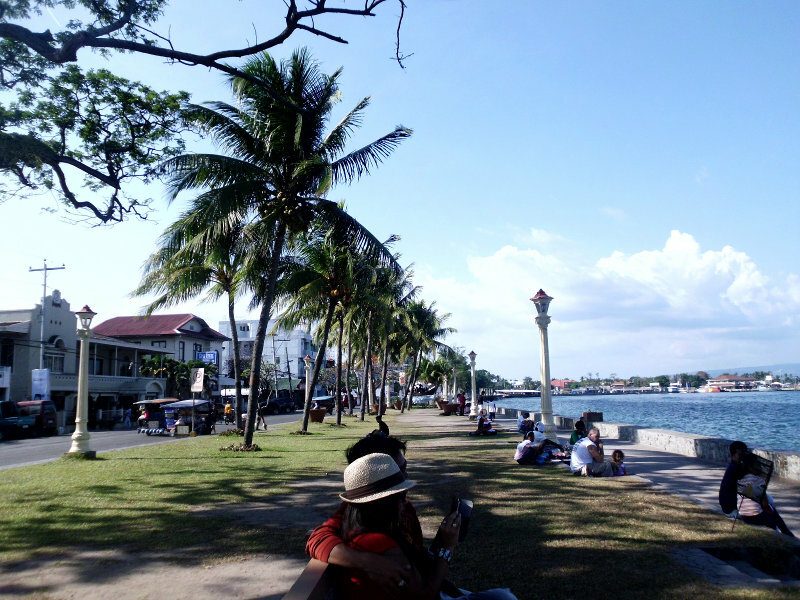 Dumaguete is a two hour bus and a short boat ride away.